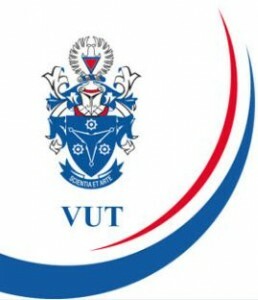 VUT is one of the largest Universities of Technology, with approximately 21 000 students. This position enables it to make a substantial contribution to the development of human capital in the region and country. The campus boasts excellent facilities conducive to learning, research, recreation and sport, art and culture, and community engagement. Lecture halls, laboratories, a number of auditoriums, student accommodation, new buildings and offices, situated on 4.6 hectares, form the core infrastructure of the institution. Four satellite campuses (currently called delivery sites) extend the services of the University, at Secunda, Kempton Park, Kimberley and Upington. The previous Vista Campus in Sebokeng is in the process of being developed as a Science and Technology Park for the Southern Gauteng region. To be a University that leads in innovative knowledge and quality technology education. To produce top quality employable and entrepreneurial graduates who can make an impact in society. RESEARCH: To generate innovative and relevant research which solves the problems of industry, society and the community. COMMUNITY ENGAGEMENT: To provide opportunities for engagement and lifelong learning to communities through the sharing knowledge, skills and resources. All these functions will be enhanced by adopting national priorities and developing local and international partnerships in order to meet the needs of key stakeholders in the higher education sector. The emphasis on career-focused diploma and degree programmes is designed to prepare students for the world of work. Many programmes are supported by Co-operative Education and include practical experience and placements in the work-place, so that graduates "hit-the-ground running" when they begin their working lives. Because of its practical approach to teaching and research, involvement in the community, transfer of knowledge and technology, and an entrepreneurial bias, the Vaal University of Technology is able to prepare its students for the real world.